The artist Scotto Morgani traveled extensively throughout Asia painting likenesses of mughals, emperors, and kings until he reached the silken shores of the Arabian Sea, embracing Goa as his home and the source of a lifetime of dreams. 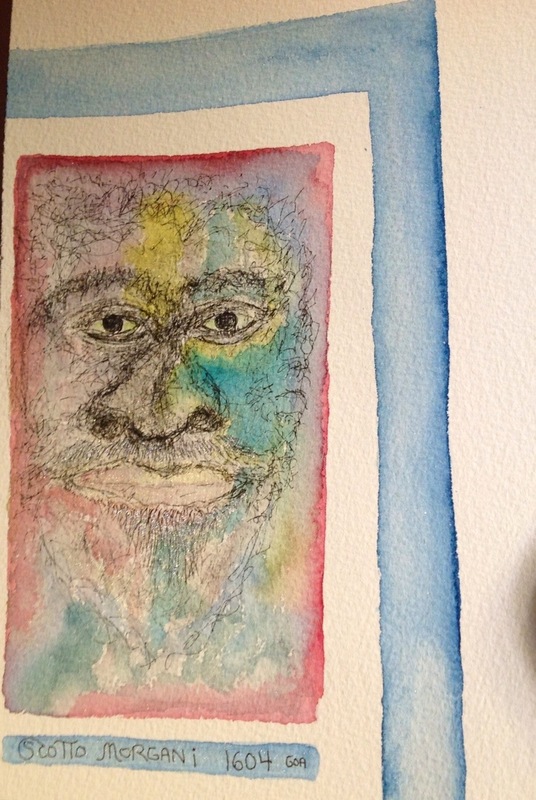 This entry was posted in Uncategorized and tagged art, artist, drawing, Going to Goa Blog, Scott Morgan, scotto morgani, traveling with cancer, watercolor. Bookmark the permalink. According to Dr. Millicent S. Tsjuckenjammer, Ph D’s authoritative ‘History of the Sahara Explorers, 1546-1678’ that was published by The Best of Anthropology 1978 Review ( now out of print), Scotto Morgani was reportedly traveling by camel with a merchant caravan via the Old Silk Road in 1601. Little is known about Morgani’s trip except that he completed a portrait of Sheik Abdullah Homestor Khan that now is part of a private collection in Luxembourg. Scott just told me that most of Scotto Morgani’s portraits were of 17th century furniture storeowners that also sold camels.